Close enough to be a 15-minute drive (or less), from "civilization" and yet middle-of-nowhere enough to showcase SUPER-dark night sky! This is also the 'mother-ship' for the largest 'fleet' of hands-on, publicly accessible, BIG telescopes in the 4-corners region. The Summer Milky Way towers over the Dark Ranger Observatory. This photo is a non-exaggerated likeness of how the human-eye, after being adjusted to night vision, sees this arm of our Galaxy from our location. Google Maps, like the interactive map below, will guide you to us correctly. Bing Maps or HERE WeGo can also be trusted. 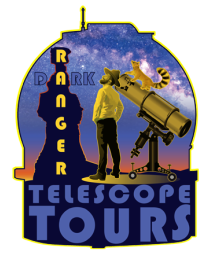 Just enter the business name "Dark Ranger Telescope Tours". *Don't use Apple Maps unless you have time to kill. 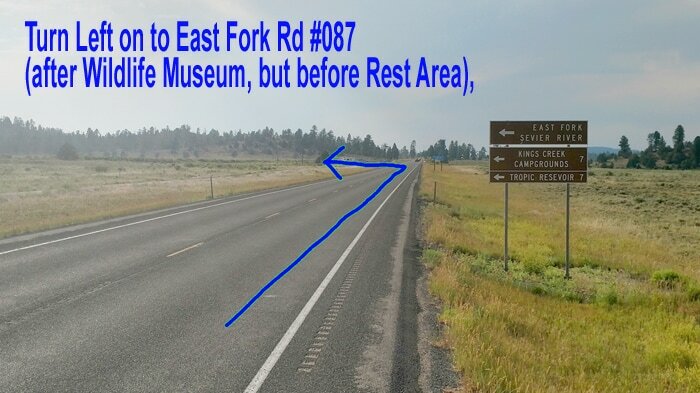 Apple will route you 20 miles past our observatory and then tell you to make a U-turn only to come all the way back. 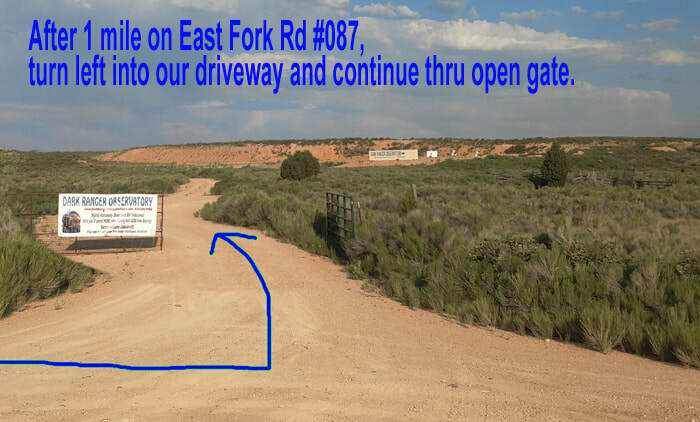 Driving map to our NEW Observatory location on the west side of Bryce Canyon. NOTE: We are no longer in Tropic. 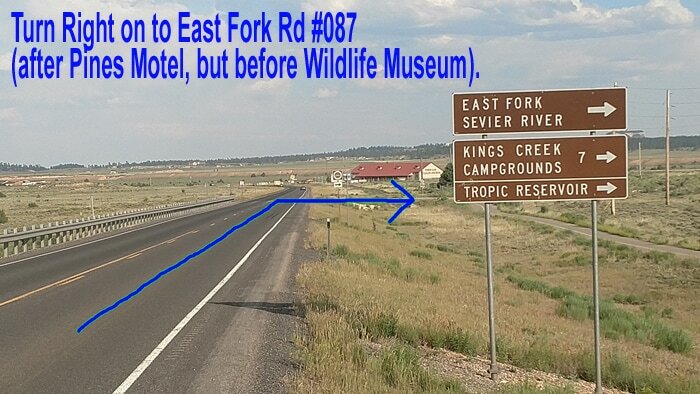 - Drive 1 mile (gravel road). Continue through our open gate, park in our lower parking lot (unless you or a passenger are mobility impaired, then use the handicap parking on top) and you are there! Can you Come to us instead? Yes we can! Follow this link to learn more about our "Road Show" Telescope Tours.